Honeymoon, anniversary or simply a romantic getaway — the Delphina Collection offers a great range of luxury hotels ideal for a memorable holiday for two. When you dream of your perfect honeymoon or romantic getaway, what do you imagine? Swimming in crystal-clear azure blue seas, a stylish suite with all mod cons, walks along a sandy beach at sunset and dining al fresco under a starry sky? 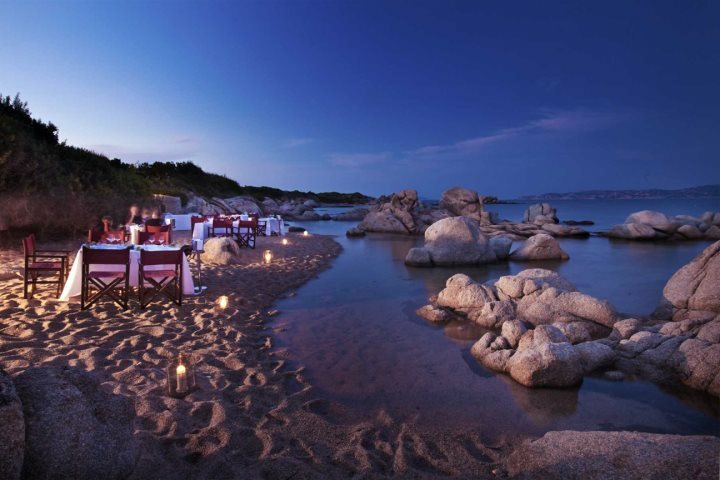 The Delphina hotel collection offers all this and more in their fabulous range of four and five-star hotels in the north of Sardinia. Here are our favourite hotels from their collection, perfect for your romantic escape. 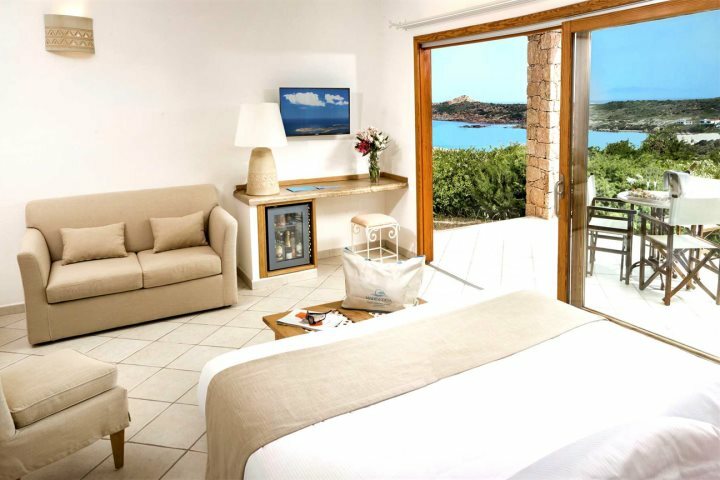 This beautiful five-star hotel is just a short walk from the charming fishing village of Isola Rossa, and an even shorter stroll from the stunning Marinedda Beach, offering everything you might want for a romantic holiday. There’s a great range of activities, two swimming pools, a choice of restaurants and a piano bar, plus a fabulous thalassotherapy centre ‘L’Elicriso’, with an extensive range of therapies and facilities including 15 chalets perfect for a spot of pampering for two. All rooms have fantastic facilities, but we’d highly recommend upgrading to a sea view room or suite – the sublime views make a fabulous backdrop for a romantic holiday. Two free passes per person (reservations required) to the Wellness Centre ‘L’Elicriso’, with use of Thalasso pools, Turkish bath, sauna, cardio fitness room and relaxation area. Delphina souvenir gift (one per couple). Sardinian silver wedding ring for the bride. A romantic dinner with oysters and lobster. Hydro-therapeutic Thalasso treatment in one of the cabins. A beautiful Cerasarda terracotta ceramic (one per couple). A glass of champagne with Cabras bottarga tapas by the pool. 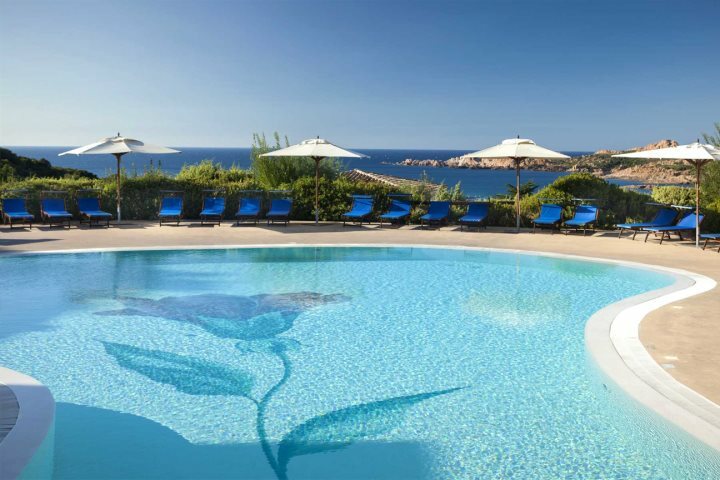 Find out more about Hotel Marinedda Thalasso & SPA. 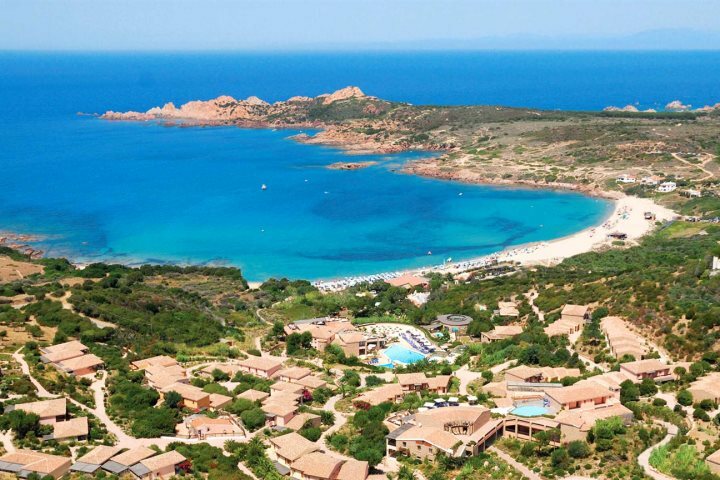 In a stunning location by the sea with views across the Straits of Bonifacio as well as La Maddalena Islands, this lovely resort is in one of Sardinia’s most beautiful landscapes. Spacious informal gardens and a series of sandy beaches enhance the tranquil atmosphere, and wherever you are within the resort you are most likely to have a fabulous view. Within the resort there are two five-star hotels, Hotel La Licciola and Hotel Erica. Between them they offer a good range of facilities on-site, including seven restaurants, five bars and four swimming pools. Last but not least, ‘Le Thermae’ Thalasso and spa centre offers a further four outdoor pools, 15 treatment cabins and more. Two free passes per person (reservations required) to the Thalasso & SPA Centre ‘Le Thermae’, with use of Thalasso pools, Turkish bath, sauna, cardio fitness room and relaxation area. Three golf lessons for beginners. A traditional Sardinian silver wedding ring for the bride. Return transfer to Santa Teresa Gallura. A glass of champagne with Cabras bottarga tapas by the poolside. A traditional dinner at “Li Ciusoni” restaurant. 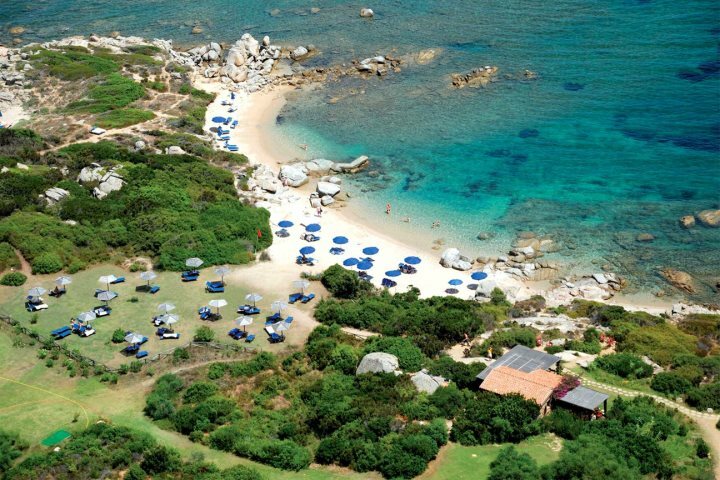 Find out more about Resort Valle Dell’Erica Thalasso & SPA. For couples within 12 months of the wedding. For anniversaries within one month of the date in question (within one year for Silver and Golden wedding anniversary). It is essential that these are requested at the time of booking. Once at the hotel, a document confirming the date of the wedding will be required. Find out more about the complete Delphina collection here.